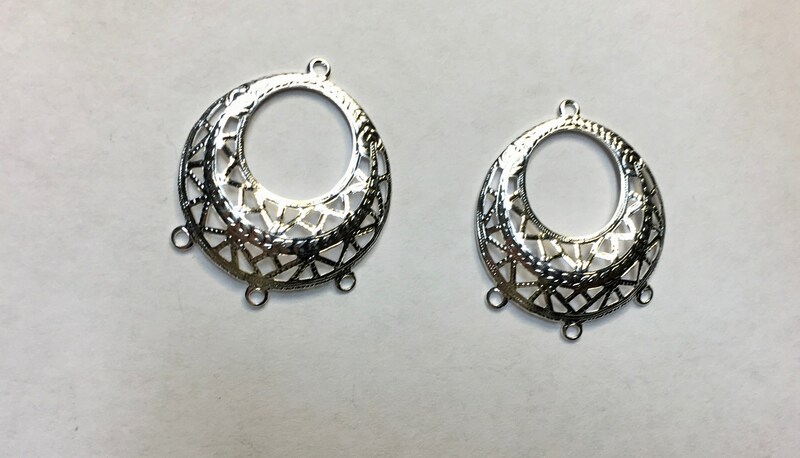 1 Pair Silver Plated filigree earring dangle findings, domed beading hoops. 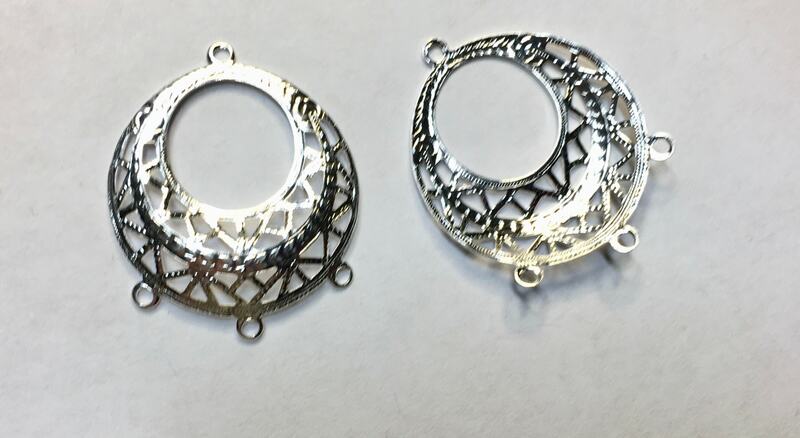 Size is 30mm x 25mm with 3 dangle holes at the bottom and one loop at the top for attaching to your ear wires. 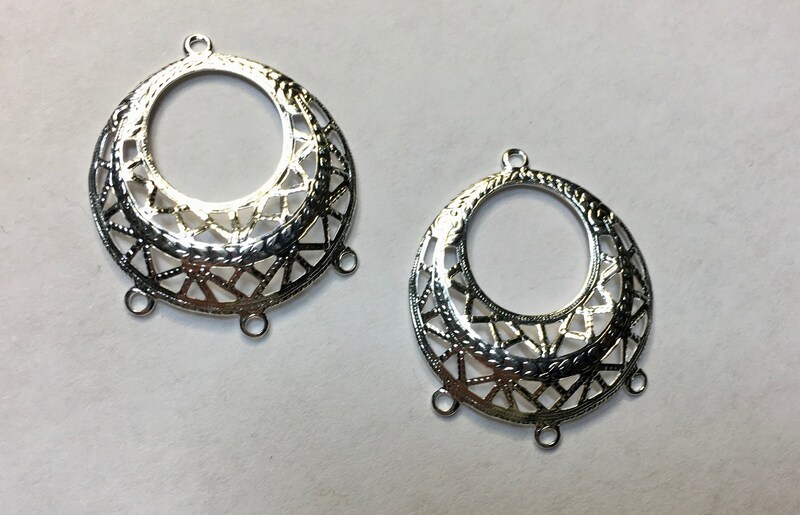 These make great earrings! 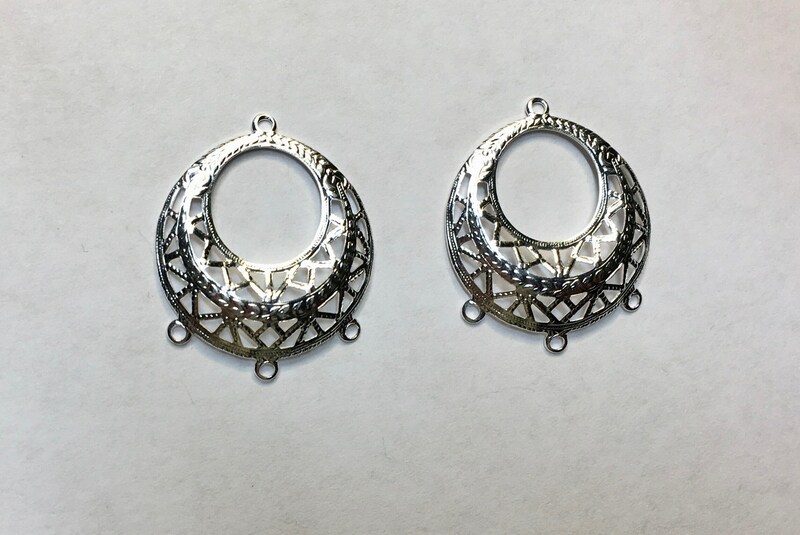 Can also be used as a pendant which you can embellish!